How Nature Builds A Pandemic Flu Virus : Shots - Health News A type of bird flu that appeared in China a few months ago has infected more than a hundred people. Some scientists are worried that this virus has the potential spread globally. But a look at the virus's genes suggests the pathogen doesn't have the typical features of pandemic. A vendor weighs a live chicken at the Kowloon City Market in Hong Kong last April. After closing live poultry shops in many cities around China, the rate of new H7N9 infections sharply declined. Here's a sobering thought: Wild birds — including city pigeons and ubiquitous Canada geese — carry 170 different types of bird flu. You know, all those viruses with the Hs and Ns in their names, like H1N1 and H5N1. Only a dozen of these viruses have infected humans so far, but many of those have been deadly, and three of them have caused global flu pandemics. Does every bird flu that leaps into people have the potential to turn into the next "big one" that spreads rapidly around the world? That's the "critical but currently answerable question," writes Dr. Anthony Fauci, who directs the National Institute of Allergy and Infectious Diseases. He and his colleagues took a look at the genetic sequences of past flu pandemics to learn how a virus goes from infecting only chickens or pigeons to sickening millions of people globally. They published their thoughts on the topic Wednesday in the New England Journal of Medicine. Take for instance the H7N9 bird flu. Doctors in China identified the first human infections of H7N9 this March. Since then, the virus has sickened 132 people and killed 37. Although H7N9 doesn't transmit easily between people, some scientists have worried that it could gain that ability. The virus has several mutations in its genes that help it invade and live in human cells, Fauci and his colleagues write. These mutations are also found in flus that have caused pandemics, leading some scientists to predict that H7N9 is evolving into a global threat. But Fauci and his colleagues say that's not the way other flu pandemics came about. Those viruses didn't just pick up single mutations here and there, slowly increasing their abilities to hop between people. Instead, the three flu pandemics since 1957 have all evolved from the so-called Mother of All Pandemics, the Spanish flu, which killed 20 million to 50 million people back in 1918. And in each instance, the virus underwent large, sweeping genetic changes to create the contagion that swept across continents. Given how little scientists known about what it takes for viruses to adapt and spread in new hosts, Fauci and his colleagues say these historical precedents are "only slightly reassuring" for H7N9. "Every pandemic emergence seems to be a law unto itself," the scientists write. 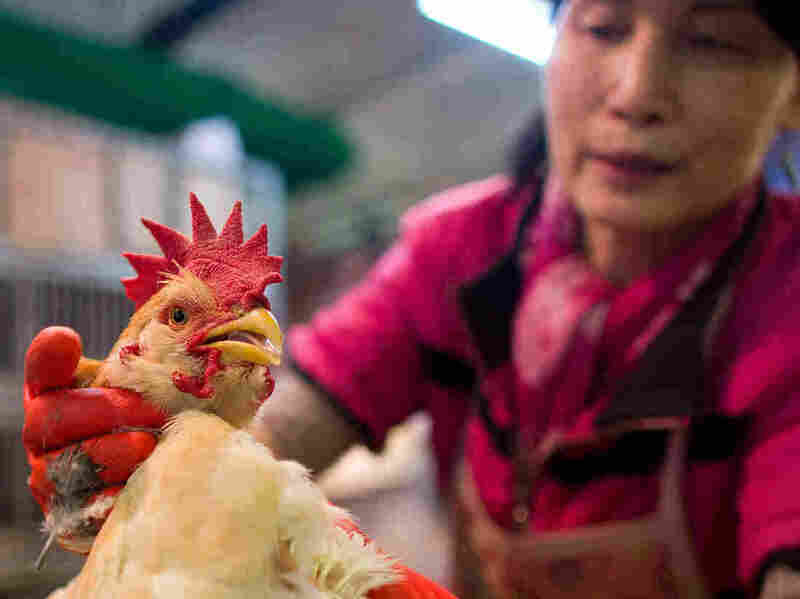 "We cannot know whether or under what circumstances the highly unusual H7N9 virus might be able to become pandemic ... H7N9's journey has just begun."